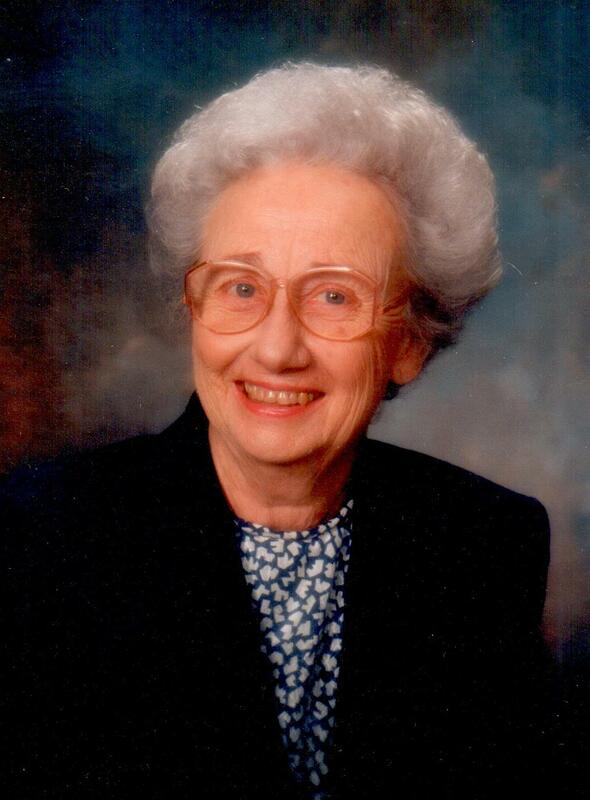 Alpha Fritsche Marietta, 93, passed away October 17, 2018 in Crockett, Texas. Alpha was born January 19, 1925 in Houston, Texas to parents, William and Lydia Hirsch Fritsche and grew up in the Cypress-Rosehill area of Harris County. She met her husband, Domenick, prior to World War II and corresponded with him for three years during the war. They were married June 30, 1946. Alpha and Domenick resided in the Fairbanks community outside of Houston and were dairy farmers. They were the parents of three children Linda, Shirley and Steven. Alpha worked on the farm, was employed at Hollis Meat Market, maintained a yard and garden, and enjoyed sewing. She was a Girl Scout leader and a long-time member of Fairbanks United Methodist Church in Houston, Texas. In 1974, Alpha and Domenick retired and moved to a farm outside of Crockett. To the grandkids and great- grandkids, she was known as “Alpie”. Many holiday dinners, barbeques and crawfish boils were held for family and friends. Alpha took up quilting and each child, grandchild and great-grandchild have a quilt to remember her by. Domenick died in 2003 and Alpha continued to live on the farm until failing health necessitated moving to a nursing home. Even there she greeted everyone with a smile and her beautiful blue eyes. Alpha is survived by her daughters, Linda Marietta of Sebastopol, CA and Shirley Marietta of Spring, TX; son, Steven Marietta of El Dorado, AR; three grandchildren, Amy Brown Wolf, Hannah Marietta Cobb, Cameron Marietta Bisbey; honorary grandchildren, Christopher Jimenez and Elizabeth Jimenez. Alpha was able to see all of her seven great-grandchildren except the youngest born in September, 2018. Alpha is also survived by nieces, Kay Marietta Hamilton of Crockett, Julia Marietta of Crockett, Teddy Grey of Houston; nephew, Wesley Fritsche of North Carolina. She was preceded in death by her parents, William and Lydia Hirsch Fritsche; husband, Domenick Marietta; brother; A.M. “Zeke” Fritsche; daughter-in-law, Pamela Borchardt Marietta. Family extends a special appreciation to Alpha’s caregivers, Cynthia Roberts, Dorothy Tott and Pauline Willis. Graveside funeral services for Alpha Fritsche Marietta were held at 10:00 a.m. Monday, October 22, 2018 in the Earthman Resthaven Cemetery, 13102 North Fwy, Houston, TX. Family received friends for visitation Sunday 2:00 to 4:00 p.m. at the Callaway-Allee Funeral Home. In lieu of flowers memorial contributions may be made to the Cancer Support Group of Houston County, 192 Coral Gables, Trinity, TX 75862, or to the Fritsche Cemetery Association, 17002 Shaw Rd., Cypress, TX 77429.